The National Housing Corporation (NHC) celebrated its 20th year anniversary in September 2016. On this occasion I take this opportunity to pause and thank the past and present Board of Directors and past and present staff members who have kept the corporation going to meet the needs of the not so fortunate within the communities here in St. Kitts. The Hon. 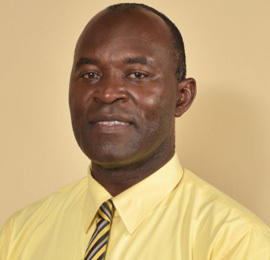 Eugene Hamilton issued instruments of appointment in April 2015 and shared his vision as the Minister with responsibilities for Human Settlement to his Board of Directors. Since then the Directors have embarked on implementing policies and procedures to ensure ;(1) better financial recording and reporting. (2) Strengthening human capacity and to improve our cooperate responsibilities to our customers. (3) Minimizing our risk exposures with the corporation’s information (4) Reducing our delinquency rates and to make the corporation a sustainable entity. We were able to bring joy to eighty-three (83) families in April of this year. To the families who have not yet received their homes, we have not forgotten you. There are bigger and better homes still to come. On the other hand I would encourage persons, to whom the corporation has brought smiles to their faces over the years, to honour their monthly low commitments so that other families can experience what they are enjoying – A place to call home. We are not about allocating a house to over-qualified persons but we want to be in the business of allocating homes. Over the next twenty-four (24) months the National Housing Corporation (NHC) board and the Government, the guarantor of some fifty million dollar loan from the Social Security Board, will embark on life changing missions for over 300 families throughout St. Kitts. Communities that were punctuated with dilapidated houses would be renewed. Former cane fields and mountain sides will lose some of its greenery to accommodate homes for our people. We can assure you that any development or enhancement of our beloved country would be done in the most sustainable and cost effective way for all our citizens. The communities and people of St. Kitts will see in some of our developments, larger baths and bedrooms at lower construction cost than previous years. We will experience other changes for example; the roofing material change from asphalt shingles to galvalume or “U panel”. This will support our home owners’ desire to build cisterns or purchase plastic water tanks to assist in our proposed conservation policy. There will also be the introduction of solar panels as we push toward a renewable energy policy. These and more are what we will be offering you in our beautiful future homes in the days yet come. Let us embrace the great future ahead with all optimism.